China is currently in the midst of an unprecedented building boom and, indeed, interest in Chinese contemporary architecture has been fuelled by this huge expansion. 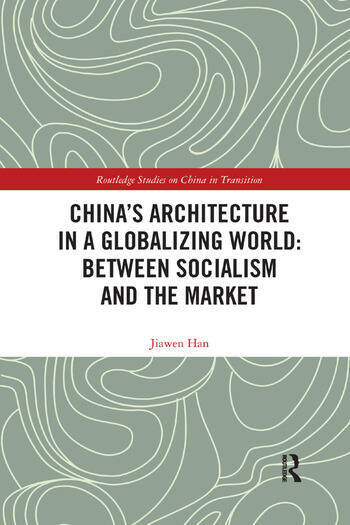 Through a cutting-edge theoretical discussion of Chinese architecture in relation to Chinese modernity, this book examines this phenomenon in detail. In particular, it highlights how changes in the social-political system, the residual influence of Mao and the demands of the market have each shaped and determined style and form in recent years. Using key case studies of Liu Jiakun, Cui Kai, and URBANUS, it analyses the intricate details of historical pressures and practical strategies affecting Chinese architecture. In doing so, it demonstrates that Chinese architects contribute in specific ways to the international architectural discourse, since they are actively engaging with the complex societal transition of contemporary China and managing the dynamics and conflicts arising during the process. China's Architecture in a Globalizing World: Between Socialism and the Market offers a lens into the innovation and uniqueness of architectural design in China. As such, this book will be useful for students and scholars of architecture, Chinese culture and society and urban studies. Jiawen Han is Lecturer in the Department of Architecture at the Xi’an Jiaotong-Liverpool University, China.